The Lantana crag is among the most interesting in the Val Seriana, it is a beautiful band of white rock with holes and more worked areas. Discovered by Biagio Ferrari in 1987 offers an excellent opportunity for those approaching climbing thanks to the many routes with large not too high. 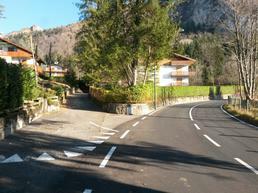 Access: From Bergamo follow the provincial road of Val Seriana and reach Castione della Presolana. Reached the fraction of Bratto, continue towards Monte Pora (turning right) until, after one kilometer, park on the left in front of some houses. Continue on foot (follow the signs) first on a dirt road and then on an easy path to reach the main cliff (sector B) in ten minutes. 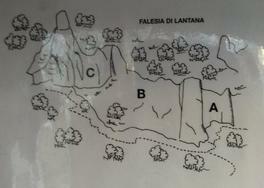 For sector C go along the main cliff to the left, while to reach sector A follow the path that goes to the right. 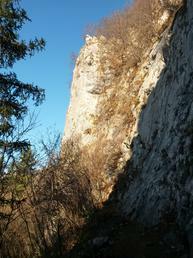 Rock: Limestone. On white rock with holes with more worked areas. Climbing is varied with the prevalence of passages of extension on holes, especially in the low sector (B) while technical passages prevail in the left sector (C).